Why is it that the dumbest ideas are always the most persistent? Originally announced in 2008, The Happytime Murders has had a long, troubled road to the big screen, including multiple false starts and a lawsuit from the Sesame Workshop. But some films are just too stupid to not get made, and so in a triumph against better judgement, we are finally getting our look at The Happytime Murders. Was it worth the wait? Definitely not. Is it funny? Occassionally. Am I glad it exists? I don’t know why, but yes. 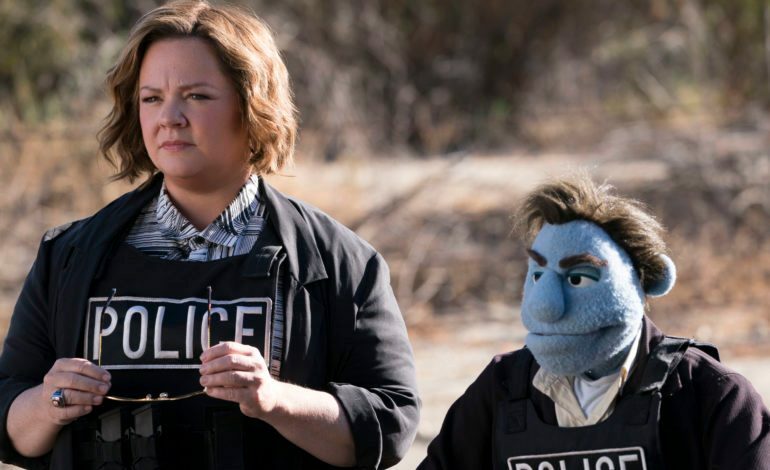 Your enjoyment of The Happytime Murders is predicated almost entirely on your capacity for stupidity. Produced and directed by Brian Henson, who helmed the childhood classics Muppet Christmas Carol and Muppet Treasure Island, the film isn’t looking to subvert any of your expectations. What you see is what you get here. The Happytime Murders exists in a Los Angeles where people and puppets live together but not exactly in harmony, with the people treating the puppets as second-class citizens. No one knows this better than Phil Philips, an ex-cop turned private detective after his old partner (Melissa McCarthy) accused him of being unwilling to shoot another puppet. When a case goes sideways, Philips finds himself wrapped up in a series of murders all connected to an old puppet TV show, ‘The Happytime Gang’. Forced to join forced with his old partner, Philips sets out to solve the case before the whole cast of ‘The Happytime Gang’ gets their stuffing ripped out. It’s not exactly groundbreaking stuff, but all a film like The Happytime Murders needs is a sturdy enough frame to hang set pieces on, unfortunately there are precious few to speak of. Henson has no real interest in reaching for any satirical or comedic pay-dirt. As silly as the film’s conceit is, puppets are a great tool for satire. However, the screenplay by Todd Berger isn’t interested in satire and seems perfectly satisfied picking the low hanging fruit. That doesn’t mean there isn’t fun to be had, it’s just all very predictable fun. You know what they say, you’ve seen one Muppet snort sugar like cocaine and prostitute itself, you’ve seen ‘em all. It doesn’t take long for the shtick to get repetitive and it soon becomes clear that Henson doesn’t have many tricks in his rolodex of childish vulgarity. The cast turn in perfectly perfunctory performances. 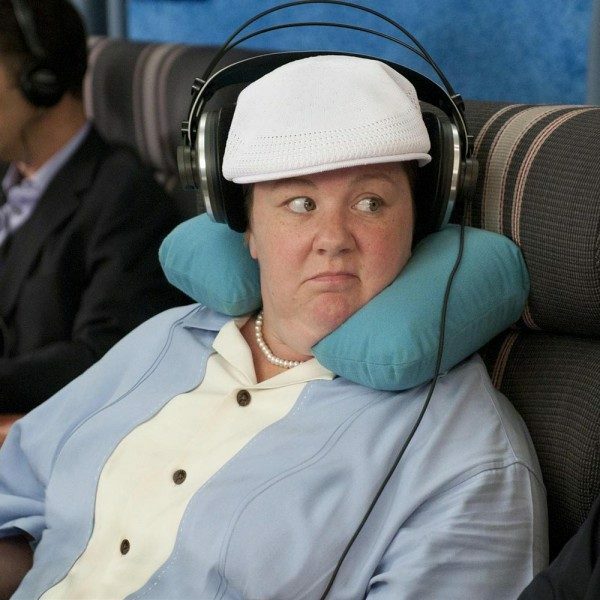 Melissa McCarthy does her Melissa McCarthy thing that has been providing diminished returns since Spy. Nothing here is really pushing her out of her comfort zone so she mostly walks through it, throwing the occasional zinger. Elizabeth Banks, Maya Rudolph, and Joel McHale round out the human cast, and they’re all solidly fine but they know they’re not the star here. The Muppets are consistently more impressive than their human counterparts and it’s hard not to have just a little bit of fun watching the Henson company do their thing. Phil Philips is voiced by the longtime Muppet veteran Bill Barretta, Phil who provides the hard drinking, hard smoking, hard talking PI with enough gravitas to make you wish he had a more interesting movie to be in. Who knows, maybe if the film does well enough, we’ll get to see more of him. It’s hard to know what to say about The Happytime Murders. It’s not a good movie, it isn’t even a particularly fun one, but there’s something almost admirable about spending an obscene amount of time, money, and energy on something so lazy and so stupid. I hope one day we get a truly great R-rated Muppet movie, but until then, The Happytime Murders is undeniably a movie that now exists and that’s something.